The vision of Escaflowne story surrounds normal high schooler Hitomi. While doing a trial run, a beam of light appears, a dragon and she meets Van a wannabe king. After slaying the dragon Hitomi and Van are transported to the world of Gaea. Hitomi is caught between conflicts between the Zaibach empire and smaller nation countries. Hitomi discovers she has latent physics abilities which play a huge roll in her journey with Van and other people she meets along the way. With the re- release this amazing series is getting in North America and new dub, all thanks to the kick starter, that was launched by Funimation. Click here for more details of the release date. 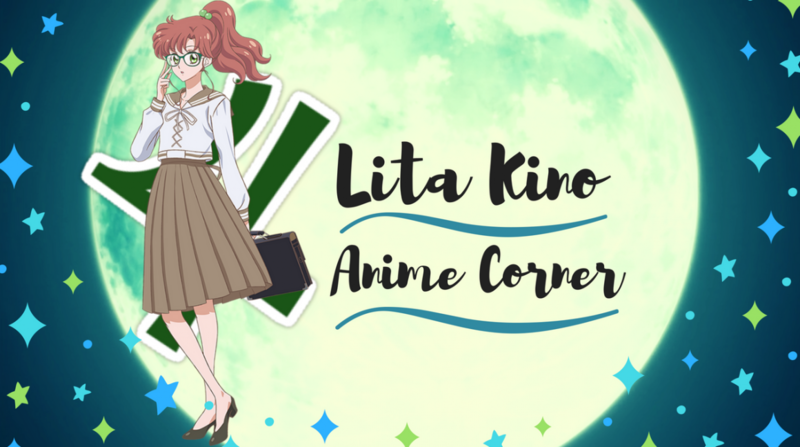 I forgot to participate like an idiot, but I thought now was the perfect time to talk about one of my top five favorite anime’s of all time. Escaflowne was my introduction to the fantasy genre, I wouldn’t have wanted a different intro. The world of Gaea looks so much more fun than planet earth. It has a cooler name in the series Mystic Moon, can’t earth just be called in general. Dragons, princesses, kingdoms mixed with this technology side which the Zaibach empire embodies, makes this world so unique and fascinating. What makes this world even more fascinating is when later on in the series finding out the history of Gaea. The idea is taken from a piece of true history and really surprised me, made the main plot much more exciting. Escaflowne is more than meets the eyes easily has been alienated as just fantasy. The most thing I love about this series more than anything is how it handles all the elements and themes, that are intertwined together. Director Shoji whom is behind other well know mecha shows, Aquarion, Macross, wanted the series to be thirty nine episodes. Due to budget restrictions being cut down to 26 episodes had to re work the story and main plot points. In my own opinion I think it all came together amazingly, at the start of the series I was a little confused, of how it would work Hitomi in this strange world, her role and the on going war from reading the synopsis. Watching The first five episodes all my confusion disappeared, the pacing of Hitomi meeting Van, discovering her Latin physic abilities, the set in motion of war. The pacing for first time viewers may feel like it’s fast but mid way when we get to the crucial plot parts, it’s slows right down and everything goes steady by then. I think the pacing of the series is done amazingly, this is where all the themes, elements are jam packed into only 26 episodes. I’ve been mentioning intertwined, well done themes first of those love. Waging war by the Zaibach empire, the confusion Hitomi faces in the midst of the chaos, Van losing his kingdom Fanelia feeling lost himself. All of this made me question how romance could be added into such a dark, chaotic plot. Though it’s obvious from the beginning Hitomi and Van meeting, you kind of guess from there what occurs. The progression of their relationship among all of the chaos grew slowly stronger, the tender moments of being there for one another if they were either in danger. Throwing a spanner into the works creating a love triangle, introducing knight Alan. Pretty boy Alan made things more exciting and frustrating at the same time, it may all seem cliche at this point. But I loved how the romance element, the love triangle between the three characters was handled. It leads up to a sweet ending. Escaflowne both having my two favorite genres romance and mecha. It does not disappoint on the mecha action. 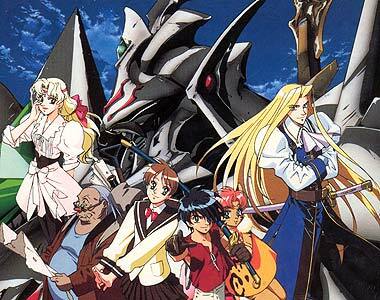 The mecha Escaflowne Van pilots, it is a fascinating machine or in the series they are known as “Dragon Slayers”. 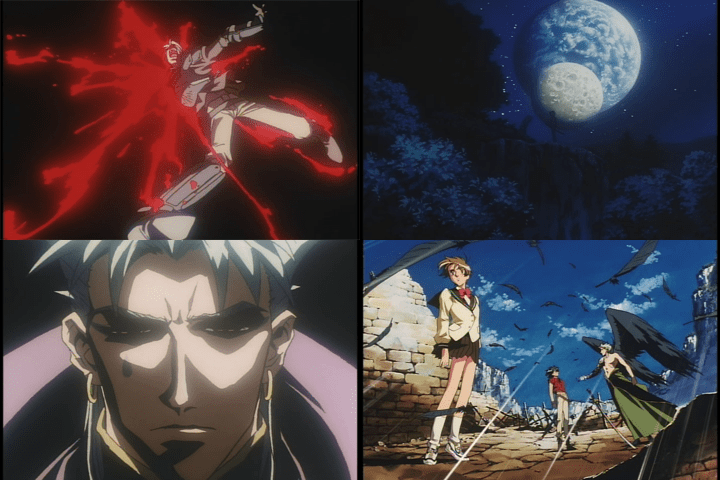 When van is piloting Escaflowne it almost seems like it’s alive all on it’s own, that pilot and machine are one. 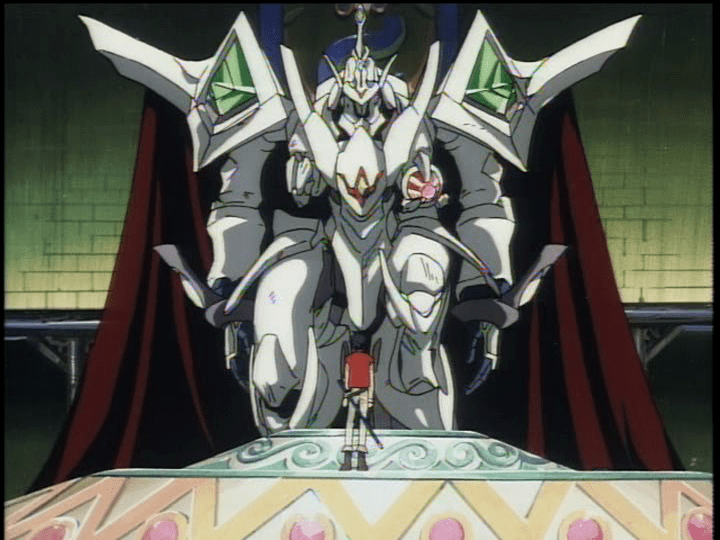 The design overall for Escaflowne is intriguing and same goes for all the other mecha designs of the dragon slayers. All the fighting scenes are more than entertaining for viewers, with the abrupt, suspenseful music adds more the excitement. Going back to our intertwining themes the main strong contender is all the major dark plot points that occur in the series. Now of course I would not want to reveal anything major for those who have not seen the series. But escaflowne I never expected my first time watching to have such a dark nature for a mecha, romance series. A strained bond between two brothers, unrealistic goals the Zaibach empire has, a hidden love, the truth behind the world how Gaea was created. All of this vital plot points all come together into a grand conclusion and the betrayal, sacrifice that comes with it, make the grim dark points in the plot worth the watch. The love triangle and other love infatuations transitions well among all the on going chaos, it breaks up all the doom and gloom. Romance or mecha fans are going to get the best of both sides if they watch this series. 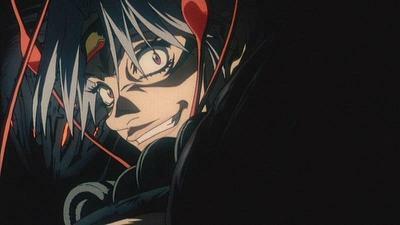 I had read in another review that the music in Escaflowne did nothing to forward the show, which is 100% not true. Having someone such as Yoko Kanno in the anime scene, known for her sensational music ability, writing music for shows such as Cowboy bepop and Ghost in a shell. The soundtrack to this series is one word I would describe magical, music is this series biggest strength. One of the main themes of Escaflowne Dance Of Curse, is very full on, in the heated battle moments of when van is piloting Escaflowne. This song will play every scene, it’s purpose to create the most tension atmosphere possible, the driving, forward choir elements elevate this even further. Another favorite track “Flying Dragon” the orchestra music creates the feeling of such freedom, dipping high and low at points to still create a abrupt tension. This song make me recall of the moments Escaflowne mecha is able to transform into a dragon. The music to Escaflowne, conveys the emotion of the atmosphere in every scene, in a way that leaves it mark, making it not forgotten. Here’s a interesting fact Mayaa Sakamoto whom is known well in the anime scene also, for her vocal ability. This series of voicing Hitomi and singing the opening theme was when her big debut was made. With people like Yoko and Mayaaa involved this music, the original soundtrack you won’t regret listening to, it’s a treasured one for me always now. In other reviews I’ve read Hitomi the main protagonist is paid out for being just a useless character who does nothing. I wanted to highlight that Hitomi is the shojo girl element that makes the main romance of the series flow so well. I cannot disagree entirely there are at points she causes more harm than good, this involving her Latin physic abilities. But her powers become a huge asset to the group of people she meets, learning things along the way that help Van pilot the escaflowne. Hitomi’s role is vital to the series, setting in motion the main twists to the plot. I mean you have to think being a different world, feeling confused, you’d make mistakes along the way. Hitomi is a very likable, fun loving character, and great protagonist for this series. – Emperor Dornkirk of the Zaibach empire, his character did little to elevate the story to me, sits in his chair half dead, looking through his telescope to the future. – Dilandau a unfortunate soul could be so annoying at points in the series, little child but finding some of his back story, made me less hate his character. That’s it for nick picks from me. I love this series way too much. Escaflowne is a great introduction into the anime classics still to this day even after 20 years. It has the romance for the girls and action for the boys, easily enjoyable for anyone. With a unique fantasy world filled with mystery and ancient history, a cast of likable, believable, humorous characters whom you get to know well through their pasts, dark plot points that you never know when they come. This series I can guarantee to you is more than just a ordinary fantasy series, it’s more than meets the eye. If I tell you what to watch it in be hard for me too. The old english bandai dub has stuck with me always, until the new dub comes out for the series it will have to impress me but nostalgia will win most likely on my end. The vision of Escaflowne more than deserves it place in my top five anime of all time, a series I can re watch over and over for a long time to come. A more than believable performance this series will give you. I really hope you all enjoyed hearing me talk about a top five favorite anime of mine, please comment below if you have seen this series. What are your thoughts on the series? Have I made you curious? Hopefully at some point I will do a deeper look into the series also. Nostalgia will always win hey. Sakamoto really had an amazing debut! I like the show, but I’m not really a fan of big companies using Kickstarter as a big preorder system. I feel ashamed that I haven’t watched this one yet. It’s been on my too watch list forever, but I haven’t gotten around to it yet. Curses! Easy to see why it’s one of your favourites, and the juxtaposition between fantasy and historical tropes with futuristic technology is always fascinating. Thematically, it also sounds like something I’d be into so I’ll be adding it to the list.